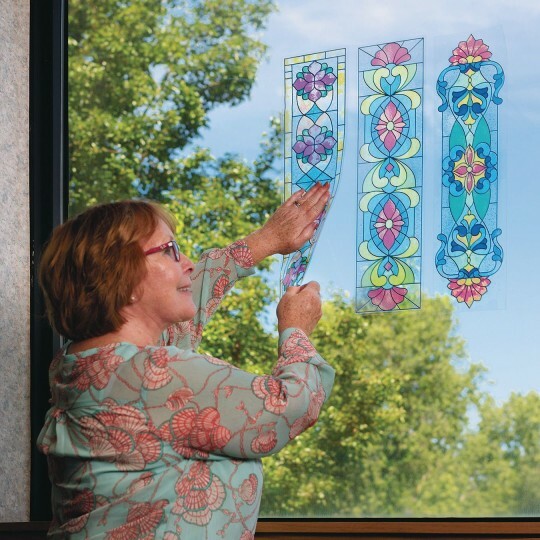 Add beauty to any window or room! 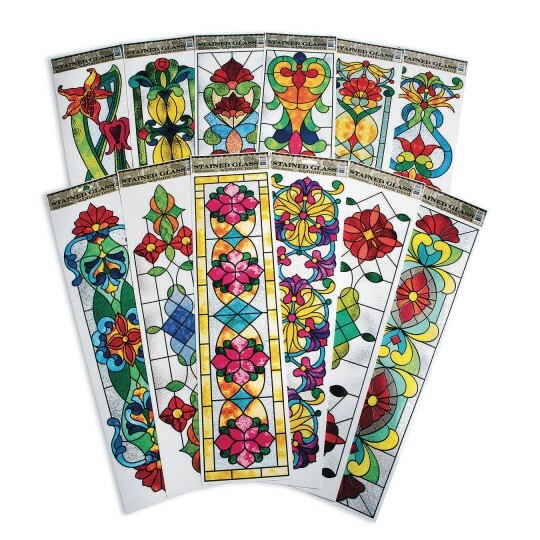 Each sheet measures 23-1/4" x 6"
Add beauty to any window or room with these reusable, static-cling decorations. Includes 3 each of 4 assorted colorful stained glass designs. Each sheet measures 23-1/4" x 6". Nicer than I expected :. I work in a BH unit and this will add a warm touch to our unit. We have to be very selective as to what you use on the unit as far as decorations go. This will be a nice and actually quite elegant touch of color.